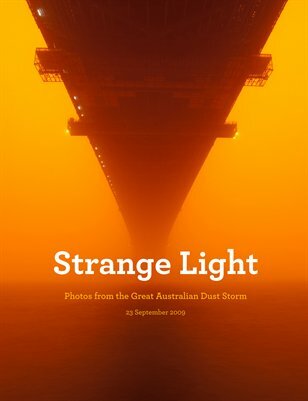 Strange light fell over Australia on 23 September 2009. An unexpected dust storm blanketed New South Wales and Queensland, turning everything an eerie shade of amber. At its peak, the storm swept up 140,000 tons of soil per hour. In spite of the worst dust storm in 70 years, intrepid photographers ventured outside to document what was happening to their homes, neighborhoods, and country. This is what they saw.